Aspire Bifolds provide aspirational bifolding doors that are luxurious, of the finest quality and with the best in engineering. If you are looking to add a Bi-folding door to your home then contact us today. Unlike many other bifolding door suppliers, we are not tied to just one product. At Aspire, we can offer you a choice of six of the best bifolding door systems available in the UK today. The best aluminium bifolding doors available in the UK. Every bifolding door we create for our customers is bespoke. Our selection of the highest-quality bifolding door brands in the UK is carefully chosen to enhance your home with a superb and beautifully crafted bifolding door. Every door is bespoke, individual and created for you. Whatever your budget, property style or design ideas, Aspire Bifolds have the right folding door for you. Aspire are approved Origin folding door suppliers and installers. The Origin door is one of the UK’s most trusted brands. 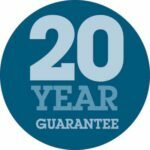 Origin doors have a unique 20-year guarantee, are available on fast turnaround times and even come as a full aluminium bifold with an authentic wood effect finish. If you want one of the best British bifolding doors on the market, contact us about our Origin bifolding doors. The Schuco bifold enjoys an international reputation as one of the best aluminium brands. Enhance your home with a Schuco bifolding door if you’re looking for one of the slimmest folding doors on the market, premium German engineering and doors that can go to 3 metres in height. 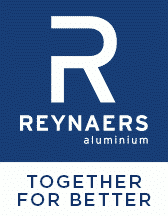 The Reynaers name is synonymous with quality bifolding doors for the discerning customer. Choose a Reynaers bifolding door if you want a contemporary folding door that comes with some of the finest designer handles possible with a modern door. The Smarts Visofold bifolding door is one of the UK’s best selling bifolding doors, renowned for its quality to price point. Smarts doors come in a choice of traditional and contemporary styles as well as the unique Sensations Textured Powder coated finish. Luxury, affordable and desirable bifolding doors from Aspire. 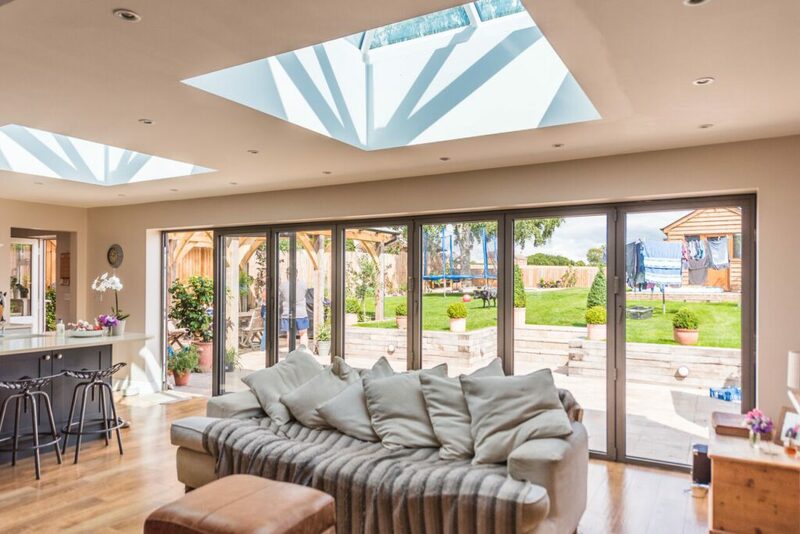 Our big range of current generation bifolding doors is guaranteed to enhance your home, adding a new level of style, visual appeal, function and monetary value to your home. It is important to choose a quality bifolding door that will be reliable, secure and dependable for many years to come. The range of bifolding doors is vast with PVCu, timber and aluminium materials. There are folding doors of low, medium and high quality with different levels of thermal performance, weather resistance and security. The sophisticated components that enable a bifolding door to slide, swing and fold must also be of high quality and construction to ensure a safe, reliable and smooth operation. With so many trade counters and online outlets, it is also important your new bifolding door comes from a supplier that will stand by the product. You also need peace of mind where your investment has been sourced from and know who is supporting your new doors. Aspire make choosing the right bifolding door easy. Bifolding doors that stand the test of time. All our quality folding doors offer you the finest security, energy efficiency, weather performance and peace of mind. Contact us today for expert help and advice to help you make the right choice for you and your home. Our team at Aspire look forward to helping you find your dream bifolding door. Aspire Bifolding Doors fit doors in London, Surrey, Sussex, Hampshire and Kent. We can also install in other areas too.